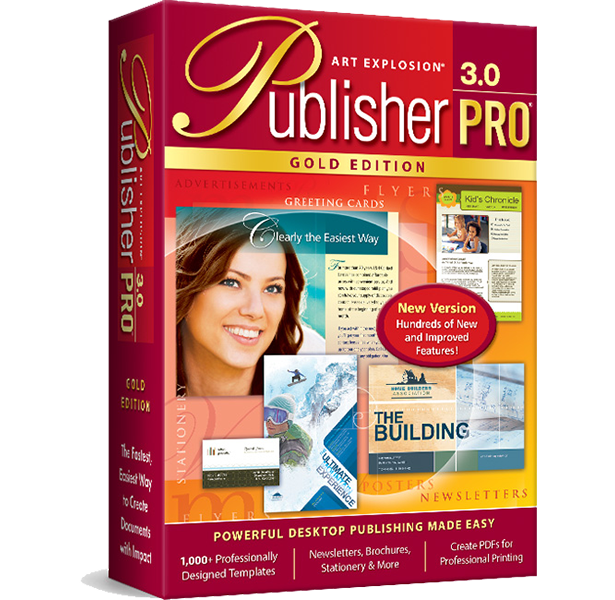 Art Explosion® Publisher Pro​® 3.0 is the fastest, easiest way to create documents with impact. 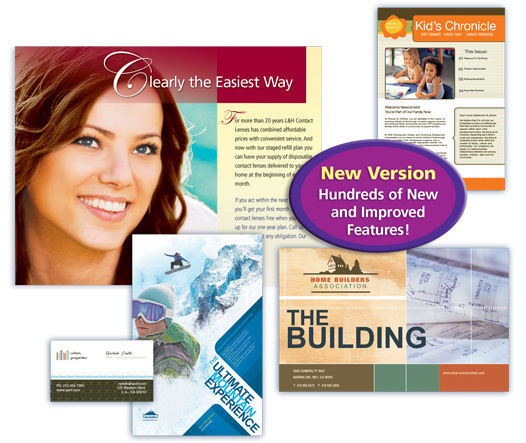 From single-page flyers to multi-page brochures and newsletters, this new edition, with hundreds of new features, has all of the powerful tools and ready made templates you need to turn out spectacular publications. 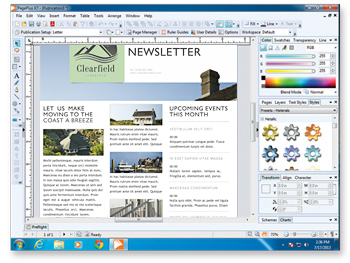 Whether you're printing to your own inkjet printer or plan to prepare a document for professional printing, this versatile desktop publishing software puts innovative text, graphics and page layout options right at your fingertips - all in one easy-to-use program. 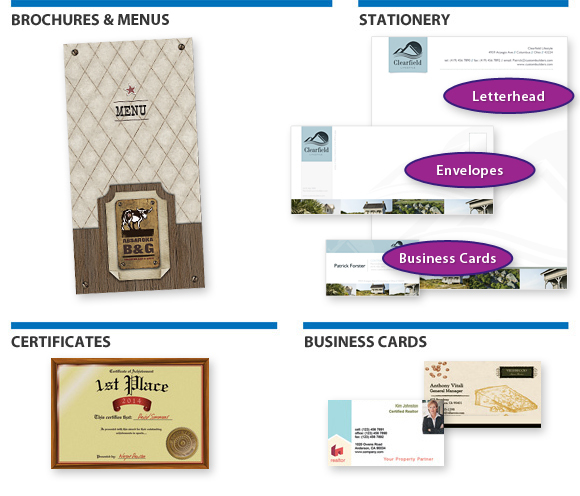 Choose from 1,000+ professionally designed templates in more than 100 different categories and subcategories. 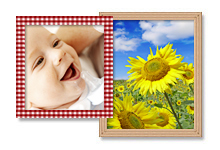 Add your own text and graphics, including thousands of premium-quality images. 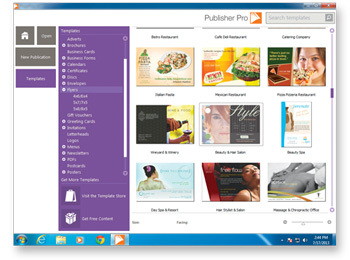 Publisher Pro's powerful word processing features and sophisticated graphics engine make it easy. 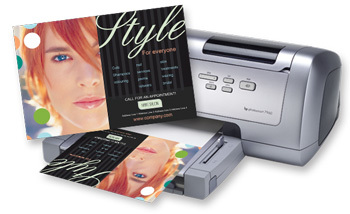 You'll achieve spectacular results with any inkjet or laser printer. And Publisher Pro's color separation and PDF creation features make it equally easy to prepare publications for professional printing. 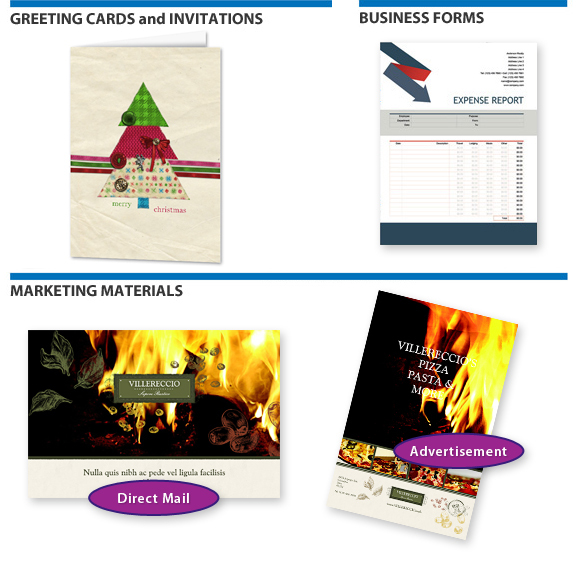 With its 1,000+ professionally designed templates, Art Explosion Publisher Pro 3.0 gives you an enormous array of creative options. 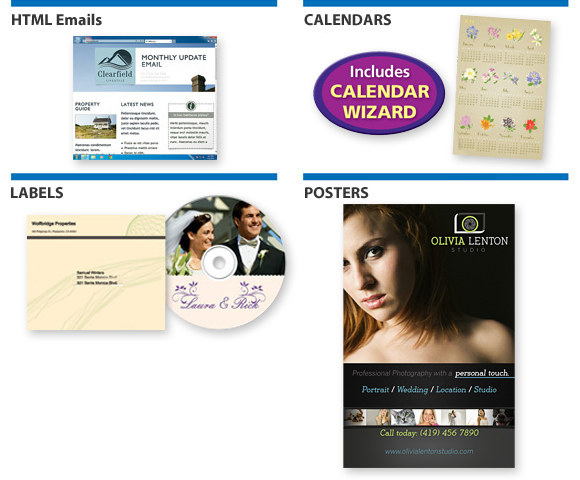 All designs shown here are included in the software. Or create your own from scratch. 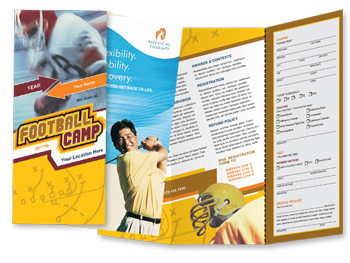 Many conventional publishing programs take care of page layout but leave you to do most of your graphics work in separate, often expensive programs. In contrast, Publisher Pro is built on a sophisticated graphics engine that will have you creating stunning documents in no time. Choose from an extensive library of preset linear, elliptical and conical gradients — or create your own with multiple gradient color steps. Plus, add transparency to any graphic. Choose from dozens of designs. Then customize corner styles. 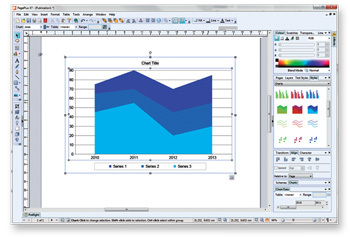 Publisher Pro includes movable rulers and guides, precision placement, rotation and flipping, cropping and more. Add striking shadows, glows and bevels to any graphic. And choose from an extensive studio gallery of effects, ranging from marble to mahogany. 3D has never been this easy! Import data from spreadsheets and instantly create stunning 3D line, bar and pie charts. Even Add Clip Art Graphics! With so many powerful word processing features plus state-of-the-art text effects, Publisher Pro is the versatile, easy-to-use solution for all your text and layout needs. Flow text across multiple columns or even inside irregular shapes. Plus, take advantage of object runaround, style sheets, and much more. Type on any curve you draw. Add special effects and keep on typing. Even type on angles. Produce stunning reports, proposals, forms and even calendars with more than a dozen preset table designs that feature spreadsheet-like calculations. 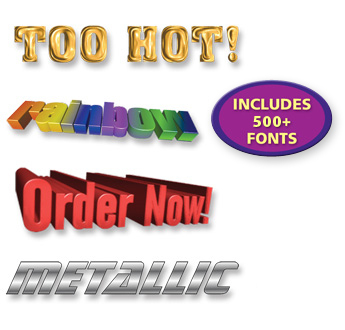 Create logos and headlines that really sizzle with Publisher Pro's Instant 3D type effects. Apply bevels, change lighting and depth, distort text, and select from dozens of spectacular textures. Publisher Pro includes an as-you-type Spell Checker, a Thesaurus and a Proofreader that seeks out grammatical errors. Flow text from column to column. 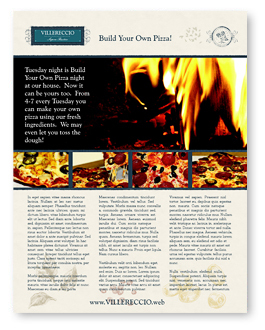 Dynamic text linking makes it easy to create newsletters and more. 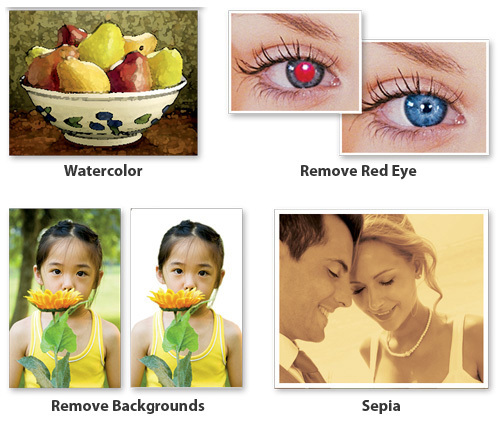 In just one click, edit, enhance and repair photos. 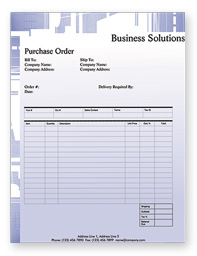 Apply special effects or use vector drawing tools to bring a creative flair to any document. 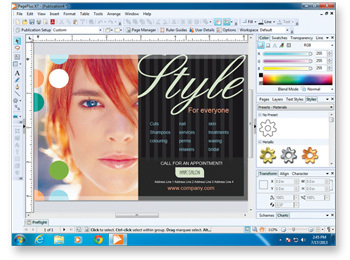 Compatible with files created in virtually all word processing and graphics applications. Compatible with all inkjet and laser printers.